How can I easily check when my corporate expert is available for a job in Projetex 3D? 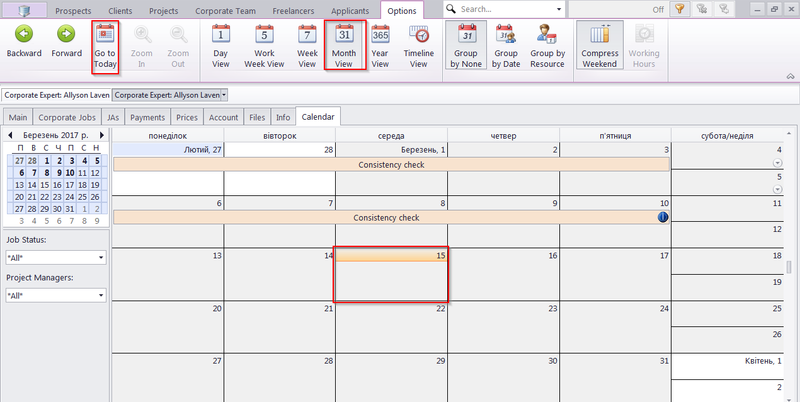 Go to Corporate Team >> Corporate Expert, select an expert in Main and switch to Calendar. 2. Select the time period you want to view (like Month View) and click Go to Today. The current time will be marked and you will be able to see if your expert has any jobs scheduled for today.